Like with most sports, Formula One evolved tremendously over time. Technological advancements in car manufacturing saw new waves of race cars emerge at an exponential rate, resulting in faster clock speeds and more aerodynamic designs. Although many precautions have been put into place to provide safety to drivers, fatalities in Formula One are inevitable. When speeds reach 220 mph, even the slightest miscalculation or maneuver by a driver can cause a high speed crash. 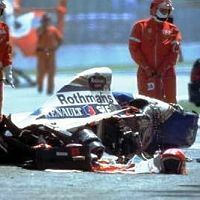 The sport has lost 51 drivers since its inception, as well as staff and spectators that were involved in some horrible crashes and many legendary racers have had their lives taken away at peak moments in their careers. Here are 10 of the most tragic deaths of Formula One drivers. 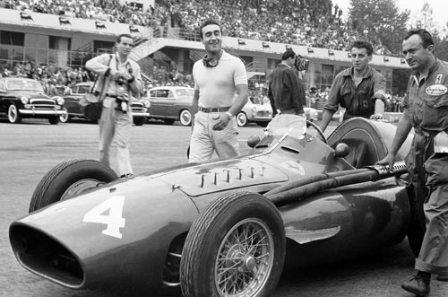 Peter Collins died a frighteningly similar death to his teammate Luigi Musso, that same year in another race. He was only 26 years old when he was killed in an accident during the 1958 German Grand Prix. Like Musso earlier that year, Collins was driving excessively fast when his car hit a ditch, summersaulted into the air and landed upside down. As the car summersaulted, Collins was ejected from the seat and struck a tree. Like Musso, he sustained critical head injuries and died shortly after the accident occurred. Collins’ teammate Mike Hawthorn, quit racing all together after learning of Collins’ death. Only six months after retiring from racing, Hawthorn also died a tragic death caused by a roadside accident when he was driving on the Guilford bypass in England. His death caused shockwaves around the world because he and his teammates, Collins and Russo, all died from tragic car accidents within less than a year from each other. The Hawthorn Memorial Trophy was created in his honor and is awarded to the most successful British F1 driver. The current trophy holder is 2015 World Champion, Lewis Hamilton. Eugenio Castelotti was a Formula One driver from Italy. Castelotti was famous during his lifetime for his very public relationship with actress and ballerina Delia Scala. He was equally famous for his cool demeanor and tailored clothing. A local benefactor from Italy provided Eugenio with a Ferrari at the tender age of 20 years old. He began officially racing cars in 1952 and eventually made his debut in the Grand Prix on January 16th, 1955, with the Lancia team. He set a world record for being the youngest driver to secure a pole position during the 1955 Belgian Grand Prix, at just 24 years old. Like many of his counterparts, Eugenio died at a very young age. 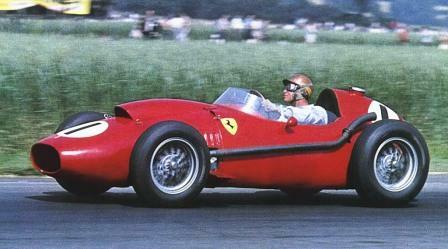 He was 26 years old when he was test driving a new Ferrari Grand Prix car that would be used for the 1957 season. He crashed his car when driving on the Modena Autodrome track and his body was tossed 100 yards away. He was determined to have died immediately upon impact due to severely fracturing his skull.